JT – It’s been a few months since the last #SJblog. Since then, the IndyCar, Formula 1 and sports car racing calendars have marched forward. We find ourselves in the middle of the summer break for many series and of course that means it’s silly season for drivers and teams figuring out who will be driving where in 2019. Formula 1 has made the most news recently with driver shuffles kicking off in early August when Daniel Ricciardo made the surprise announcement that he was leaving Red Bull Racing after four seasons with the team. What do you make of Ricciardo’s move? SJ – It’s interesting, I don’t think too many people saw that one coming. I’m sure there’s a lot more to it than meets the eye behind his decision to move obviously. Whatever the reason, it’s a major loss for Red Bull. If you look at it historically, Renault has always won eventually when they’ve been involved in Formula 1. Of course, there’s completely different people at Renault now compared to the past but the commitment is there it seems. Just the fact that they’ve hired Ricciardo tells you the commitment is there. They’ve certainly got some good people in the team and I’m sure they will keep adding more. I am sure they must have given Ricciardo’s pretty firm guarantees that they are prepared to allocate the budget and resources required to win the championship. I see no reason why they would not fight with Mercedes and Ferrari eventually. This situation is different but it’s not entirely dissimilar to when Lewis Hamilton left McLaren, which was then a winning team, for Mercedes who weren’t winning anything at the time. I’m sure he was shown the big plan and the commitment they had to winning the Championship. Interestingly, Mercdedes also had this driver called Rosberg, that no one was completely sure how good he really was and it ended up being a few of years with epic battles between the two. Renault has Hulkenberg that has shown great promise and great speed but never delivered the results, now he will be paired against a proven race winner, will he be able to step up and finally deliver on the promise or will this be the end of his career? I think he will keep Daniel honest and this dynamic could be great for the team if both of them push each other all the time. I don’t think this is a bad move on Ricciardo’s part, he would have always had to deal with Verstappen being favored at Red Bull, at least if what we’ve seen until now is anything to go by. Now he’s the team leader which makes a big difference also psychologically for a driver. I think there’s a good chance that Renault will eventually be on the pace of the top three, maybe not next year, but if you take a three or five year view I feel there is a very good possibility they will. There are always shifts that will come if the rules stays the same for long enough, history shows that everybody will eventually catch up. The new rules won’t be wholesale like it was when the new engine formula came in to play, where everyone’s been playing catch up to Mercedes until this year. Even when you dominate or win, like Mercedes, every year it gets a little bit harder to stay on top. So I think at some point it’s likely that Mercedes will end up with a car that isn’t the best and the dynamic will change. Ferrari is already as quick or quicker in many places. It may take longer because a lot of things are different in F1 now. One is the massive amount of resources required to be competitive. That’s the main reason why Mercedes and Ferrari are at the front. They’re simply spending more than anyone else. I can only assume that Ricciardo has been given pretty strong guarantees about the depth of Renault’s effort. That must have been one of the contributing factors otherwise I doubt whether he would have made the jump. He’s obviously seen what the five-year plan is. At the same time, I also think Red Bull will be very strong with Honda power in the next five years. I think Honda is on the verge of cracking it, and when they do they are normally unstoppable. I think the next few years could become very interesting with both Renault and Honda catching up to Mercedes and Ferrari, it has a good chance of being more competitive than we’ve seen in a long time. I just hope they won’t tinker to much with the rules as we’re now on the verge of everyone catching up which will allow the competition to be much closer. But we should never count on the wisdom of the rule-makers, they seem to be experts at making changes where none are needed. We all know the current set of rules are far from ideal, but at least we have gotten close to the point of diminishing return on R&D and when that happens the racing is always getting better and closer as the gap from the front to the back keeps getting smaller each year. Let’s hope it will stay this way for a while until everyone has figured out the bigger picture of what really needs to be done. That is a subject for a whole other conversation and it’s obviously a big topic. I am actually working on a big document on that very subject which I should have ready in a couple of weeks, it’s very radical and will require a complete rethink but I hope people will like what I have in mind. JT – Less than two weeks after Ricciardo’s announcement, Fernando Alonso announced that he would be retiring from F1 for 2019. In comments on his departure Alonso indicated he could still return to F1 if a good opportunity arose and if the series changed enough to produce a good competitive environment. Alonso added that racing in F1 is no longer enjoyable on track, stating that the predictability of the racing was far too high with little chance to actually compete. He concluded that most of what is talked about in F1 focuses on off-track polemics and politics, not actual racing. What do you think of his decision to leave the series and the reasons behind it? SJ – I can certainly sympathize with a driver of Alonso’s pedigree, everybody knows he doesn’t belong where he’s at, but that’s the nature of the beast in F1. It doesn’t matter how good the driver is, if you don’t have the best car you will never win or get close to the front. It’s tough to be motivated when you know before the season’s starts that you’re going to be somewhere around 8th to 12th in qualifying and get the odd point here or there. There’s also this current obsession in Formula 1 with young, fast teenage drivers or drivers around 20 year old. For sure they’re very quick. There’s no doubt about their speed, but we don’t really know how good they are. F1 has turned into a place where driving fast is just about the only criteria that seems to matter. You can see it very clearly in the races. On Lap 1 and Lap 2 there’s more contact and debris flying off the cars – broken wing-endplates and stuff – than there is at the Formula Ford Festival at Brands Hatch every year. There’s very little racecraft and very few of the drivers who have any racecraft. Alonso is obviously one of them, one of maybe five or six. The rest, even some of the experienced guys, I won’t mention any names but it’s pretty obvious by now, just should not have the amount of unnecessary accidents they do. As I’ve been speculating, maybe it’s something to do with these new super long wheelbase cars but it strikes me as very strange that these drivers who are supposed to be the best in the world can’t get past the first two laps without three or four cars per race getting damage in pretty much every single race. I think one of the problems with F1 is that it’s simply too good. What I mean by that is everything is so well done from the engineering to the simulation of the races that there is literally nothing left to chance, there is no unpredictability left, except if there’s a sudden shift in weather conditions or something else that could not be planned for before the race started. We normally get 2-3 races a year like that and everybody is jumping up and down over what a great race we just had. That should tell everybody something right there. But unfortunately, it’s the engineers that are running the show now as far as the technical rules go, and they won’t back down, it’s just more and more of the same. No one’s willing to give up their toys. JT – Toro Rosso’s Pierre Gasly and Alfa Romeo Sauber’s Charles Leclerc are candidates for other drives. With Ricciardo’s departure from Red Bull Gasly is now seen as strong possibility to be a teammate to Max Verstappen. Meanwhile, Leclerc has been mentioned in connection with Ferrari for some time. Each is an example of the youth movement you mentioned. Neither one has even completed their first season in F1. SJ – There is no doubt that both of them are very good, I think they are future stars for sure. Just as with Max Verstappen, every now and then we get someone exceptional that pops through that little hole at the bottom of the funnel and I think both these guys are that kind. However, I think it would be foolish to throw them in the deep end with a top team this early, for the same reason I mentioned earlier. They would both fare much better where they are and gain another year of experience in a team with much less pressure and scrutiny than they would get at either Ferrari or Red Bull. If you don’t perform at your very best in every session and race the media is all over you and then the doubt start to creep in and it all goes sideways very quickly. There’s loads of examples of great drivers who never made it once they got the opportunity in the big teams, simply because it was too early in their careers. This works both ways, I don’t understand the rush from Ferrari to put Leclerc in one of their cars at this stage of his career, it will be much better for them to keep him at Sauber and let him gain more experience before they put him in the main team. JT – In IndyCar news, Scott Dixon resigned with Chip Ganassi Racing. Scott has driven for Chip since 2002, scoring 43 of his 44 IndyCar victories with the team. He seems very content with the decision to stay at Ganassi despite offers from others including Andretti Autosport and the team McLaren may be forming. As his manager, you played a role in the negotiations. Obviously some work was involved despite the fact Scott elected not to change teams. SJ – Yes, there was a lot of talk and a lot rumors, I don’t know where some of these guys get their stories from but it was very amusing to hear some of it. So far from the truth that you have to wonder where the rumors started. Scott certainly had some strong offers but continuing with Ganassi made sense. You know Chip will always put a winning car on the grid, and that is in the end all that matters, the rest kind of falls into place. There’s obviously a huge amount of respect between the two of them and the great success story will hopefully continue for a while longer. And yes, there was a lot of work associated with it and it was quite stressful at times but as a manager you’re there to try and be objective and look at the bigger picture – all the different factors that come into play and I believe Scott made the right decision in the end. JT – As 2017 comes to a close we’re going to look back at the year’s racing a bit and look forward to 2018. In recent action, the 2017 Macau Grand Prix F3 feature race was absolutely marvelous. Sette Camara and Ferdinand Habsburg had an amazing battle for the lead over the last two laps of the race. Habsburg overtook Camara at the final corner but both carried so much speed they the barrier at the corner exit leading to the finish line. Daniel Ticktum in 3rd position suddenly found himself crossing the line first to win. Lando Norris finished in 2nd while Habsburg made it over the finish line on three wheels to finish 4th. SJ – Yes definitely! F3 in general is just great racing and always has been. All the kids at the sharp end of the grid are all super talented with a real fighting spirit. They haven’t been jaded by the experience that every move you make may not work out so they all just have a go. There is also a great camaraderie there that seems to get lost the further up the ladder you go, with the added pressure from both the teams, sponsors and the media. I remember when I was doing British F3 and won the championship in 1980 (driving for Ron Dennis’ Project Four team), my two golf buddies were Kenny Acheson and Roberto Guerrero, they were also my biggest rivals to win the Championship that year. All three of us were fighting tooth-and-nail for the championship. But we were all best mates and the day before the races we’d be playing golf together. Of course, on-track we gave it all we had and never gave each other an inch, but it was always very fair and whomever of us got it right on the day ended up winning the race. It was very pure and it’s the way things still are to a large degree in F3. It’s no coincidence that the majority of all the greatest drivers in recent history all cut their teeth in Formula 3 to begin with. JT – As a fun aside, I happened to be watching a program on YouTube recently called “Ten Forgotten Group C Racers - LM24 Legends You've Never Heard Of”. One of the cars covered in the program was the 1991 Konrad Lamborghini KM 011, a Group C racer Franz Konrad created with the same Lamborghini V12 that powered the machines fielded by the Ligier and Modena teams in Formula 1. Apparently, Franz hired you as co-driver for the season. It didn’t go too well did it? SJ - Oh dear! I will never forget that car! That had to be hands-down the worst car I ever drove – that and the Ligier F1 car from 1988 in their respective categories. They went hand-in-hand in terms of being unbelievably bad. It was almost comical because we had that Lamborghini engine and there were no restrictors or anything back then. It was whatever power you could get out of the engine within a certain range and it had pretty good power. But the car had zero downforce - none. I think the car must’ve been 50 km/h quicker than the Mercedes (C291 prototype), which was the fastest car at the time, down the straights but about 8 seconds slower per lap! It was ridiculous! I don’t think it had ever been within a hundred-mile radius of a wind-tunnel. It was eyeball design all the way and it had no grip whatsoever. There were so many things that were wrong with this car, apart from the poor handling. The cockpit had virtually no seal to the engine compartment which meant you were constantly breathing all the petrol fumes and the heat and noise inside the cockpit was insane. After about three laps in the car you lost your will to live! JT – Which professional series do you think offered the best racing in 2017? Which was most fun to watch? SJ – I would say IndyCar again. It has always been enjoyable to watch. The series is very competitive and there’s always good battles throughout the field, and some of the races are real cliff hangers. You often don’t know what the outcome will be until the very end of each race. I’ve been saying this for years now, IndyCar has by far the best racing overall but unfortunately only a fraction of the global race fans watch it. If they could only get more people to tune in so everyone can see how good it really is. I’m not a marketing expert and I certainly don’t claim I have all the answers, but it’s the best kept secret in global motorsports as far as I’m concerned. They need someone like Liberty to come in and really push the series to where it used to be and beyond. Of all the series out there, I think it’s one that need the least amount of changes in terms of the overall product, but they need all the help they can get in marketing themselves. JT – The 2018 IndyCars with their now-standard lower downforce universal aero kits have received positive feedback from the drivers who’ve tested with them so far. Apparently they will force drivers used to the downforce-heavy Chevrolet and Honda aero kits of recent years to adapt their driving, requiring more finesse and patience. The cars should also move around more, making for more visually exciting racing. What’s your take? SJ – It certainly looks like this package will sort the level of driving out a bit more than what we’ve been used to seeing in 2017 and the last few years. It definitely looks like the cars are not as easy to drive as what we’ve been used to the past couple of years with the huge downforce cars. They will demand more finesse and car control from the drivers and that’s good. That’s the problem with all of the high downforce cars of today. They can make an average driver look quite good. By definition, if you have more grip you don’t have to balance a car the way you would without it. It’s the same situation you have in F1 and it shows, DTM is the same as well as the WEC prototypes. Yes, the cars were quicker in 2017 and maybe fractionally more physical to drive but with all of the downforce and grip they have, they require less driving skill or feel for the car. The new IndyCars will force the drivers to work a bit harder to get the last 5% out of the car and they will all have to develop that feel again. They’ll also have an impact on the tires. You will have to manage the tires more with your driving to make sure you don’t slide around too much but always keep them just below the point of losing the grip. This will inevitably lead to more small mistakes by some drivers which is often the chance you’re looking for when you’re battling another driver in a close race. I don’t know if the new car will make the racing any better, it’s already quite good. But I do think it will separate the good drivers from those who are average more than what we’ve been used to seeing the past few years. And if the cars move around more, that’s what fans want to see. They want to see drivers fighting to control the cars. JT – Looking ahead to the 2018 IndyCar season in another way, it’s intriguing to see how it’s shaping up with drivers switching teams, new drivers and new teams like Carlin joining the series. SJ – I think it’s good. It’s probably time there was a bit of a shake-up in the ranks across the board. I think Carlin joining the series will be great. Trevor Carlin is one of the best Team Owners out there, period. They’ve won in everything they’ve ever competed in and they know what they’re doing. I think they’ll add a lot to the series. JT – Formula 1’s 2017 season started off in interesting fashion with Ferrari able to challenge Mercedes for victory regularly. At the midway point however, Mercedes gained a clear advantage. The result was an early season that featured battles on track at times. After the early races, there was very little excitement. This was confirmed by data Pirelli released in December, showing that there were half the number of overtakes in F1 in 2017 compared to 2016. As you predicted, the larger, higher downforce cars the series switched to this year made passing more difficult. SJ – Yes, this isn’t exactly earth-shattering news. It should have been obvious to anyone who write the rules that this was not the way to go to improve the racing. There’s no way to escape the effects of aero unfortunately. Now they are talking about generating downforce from underneath the cars rather than from the top. That might help limit the turbulence a little bit but it won’t eliminate it. If you follow another car there will still be dirty air. As long as you have a lot of aero, you’re always going to have this problem, and the more complicated the aero is, which an F1 car is the epitomy of, the more affected your car will be from the dirty air. So unless they simplify the front wing considerably, I am certain they will still have the same problem. I’ve said it before but I’ll say it again, I know I’m starting to sound like a broken record. The easiest way to get more grip – and it would be so easy – is to simply improve the tires. Even on a much lower level than F1, like when we used to run LMP2 in sports car racing, you could easily spend a million dollars developing the aero of the car to gain, maybe half a second. Then you bolt on a different set of tires that cost maybe $2,000 and you pick up a second-and-a-half. It’s beyond me that improving the tires is never even mentioned in F1. There are three things that make a race car go faster or slower not counting the driver of course: Chassis, Engine and Tires. The first two are open for anyone who wants to compete, yet the tires are restricted to one manufacturer, to whomever is willing to bid for the exclusivity. As it is today, I don’t think many tire companies would be interested in competing against each other in F1 with the current rules that mandate the same old 13-inch balloon tires they’ve continued to use since the 70’s or maybe even earlier, because they are completely irrelevant to any tire on the road anymore. But if they could change to tires that look at least remotely like what you see on a road car now then I’m sure the tire companies would jump right in. Michelin have already made that statement. I’m sure that if you took away 60 or even 70 percent of the aerodynamic grip the cars have now and opened up the regulations to allow different tire manufacturers to compete against each other, you would easily gain back 3-4 seconds per lap, maybe more – almost immediately. Then give the cars an extra 300 horsepower and you gain another 3-4 seconds on an average length track. There’s another thing which is curious in my mind with the current cars and regulations. Seemingly, someone in a high tower has decided that electric cars are the way to go and that’s it. Across the board, road cars, race cars, it doesn’t matter. No other alternatives are available. Anyone who has even the remotest interest in engineering knows that there are a ton of other alternative technologies out there which could be far more interesting and environmentally friendly and for sure more efficient than electric. But we now have these so-called environmentally friendly hybrid cars with batteries that add nearly 50 percent more weight to an F1 car. The F1 cars used to weigh 500 kilograms. That alone made the cars way more exciting to watch than what we have now. They were lively. They were moving around, twitchy and nervous all the time. You could really see the drivers working the cars. I remember when I came from F1 to IndyCar. The IndyCars were quite a bit heavier. Everything happened so much slower in the IndyCar and that made it a lot easier. Now the F1 cars weigh as much as an IndyCar. In the bigger picture where F1 claims to be road relevant – which it isn’t – If you applied the concept of saving weight rather than adding it, let’s assume hypothetically, if you halved the weight of every road car and put the focus on weight loss can you imagine how much that would mean in terms of efficiency and for the environment just in terms of fuel consumption? It would be massive. That should at least be an alternative direction F1 should be going in but they’re now doing the exact opposite. If you allowed all the brilliant engineers in F1 to tap into the materials science that already exist out there and let the teams to focus on weight savings as an option in designing their cars. And then work out a target number for thermal efficiency and energy consumed that each car was allowed to consume over the course of a race distance. Then leave it up to the teams whether they want to run a normally aspirated engine in a car that will be lightweight and far more fuel efficient or a battery-hybrid car that’s maybe 200 kilos heavier but might also generate more power in an efficient but different way. From an engineering point of view that’ll help sort everything out because you’d soon find out what approach was the most efficient. That would also provide interest for the fans with cars that were conceptually different from each other and that also looked and sounded a bit different. As it is, all the cars look virtually the same and truthfully F1 has been nothing more than a glorified spec series since the introduction of the latest engine formula. The rules a written so tight that each team has an extremely narrow window to work within, both on the chassis and the engine, hence all the cars looking and sounding exactly the same. Take away a lot of the downforce, add an extra 300 horsepower, lighten the cars by 200 kilos and put some proper tires on them. You could soon be back near the same lap times they run today but with cars that were mega-exciting to watch. They would run close to 400 km/h down the straights, have much longer braking distances which would encourage more overtaking under braking, and the cars would move around a lot more so you could really see the drivers trying to tame their beasts. It would be awesome! Another thing with all this, and maybe the most important aspect of all. Every single race track today, is either modified or built to specifically suit these high downforce cars, full of low speed corners and boring chicanes, in order to slow the cars down because of the high grip they generate from the downforce. If the cornering speeds were lower, but straigthline speeds were much higher we could gradually go back to the type of tracks that were far more exciting to watch, where you could really see a drivers laying it on the line with great car control in a series if medium and high speed corners, but with the modern safety standards applied. Yas Marina in Abu Dhabi is a perfect example of this, how is it possible to build something that awful when you have a clean sheet of paper, it’s probably the worst race track I have ever driven on in my entire career. It has 3 chicanes, and 4 first gear corners! Why would you even put one chicane when you build a new track and you have an endless choice if options. JT – 2017 featured lots of sports car racing with GT racing remaining strong globally while top tier prototype racing gasped for air. The LMP1 class of the WEC looked less vibrant on and off track than it had for several years, demonstrating that the championship had finally drained the resources of the category’s remaining manufacturers, Porsche and Toyota, with its hugely expensive hybrid-prototypes. Porsche announced its P1 exit in late summer. The situation was brighter in IMSA with the series’ DPi/P2 class gaining entrants even in a transitional season. IMSA’s GT classes remained strong and the outlook for 2018 looks very good with new teams and cars joining . Contrast that with the WEC where the LMP1 class will consist of Toyota and several privateer squads running non-hybrid ICE-powered machines. There’s little doubt Toyota will dominate. The upcoming 24 Hours of Daytona should be one for the books with a historic line-up of star drivers and teams that will surpass what Le Mans can offer in the 2018/19 “Super Season”. What are your thoughts? SJ – I agree. The formula that IMSA have come up with for prototypes is great and it’s clearly working, with more teams than ever joining the series. It’s just a shame that there can never be an agreement between Europe and America on the overall rules for prototypes. It’s sad that egos have to get in the way all the time because I think they have the foundation here in the U.S. for something could be fantastic for everybody. Now the ACO is talking about a silhouette GT formula which is just going to be another money pit for a few manufacturers as far as I’m concerned. As we’ve discussed before, my point has been for some time now, why not just unleash the current GT cars? If you take the restrictors off them they would have another 200-300HP or more in some cases, then give them maybe another 10 percent more aero and some wider tires and wheel arches that would make them look more aggressive also, and they’d be flying around Le Mans. They’d be in the mid to low 3:30s in no time, and that’s always been the target lap time the ACO wants to see for them to feel the track is safe. Make every manufacturer that wants to compete homologate a car to those specs, the road car version of the Le Mans spec car would be sold out in no time and every manufacturer competing would have their own version of the LM supercar. Each manufacturer would be spend serious money on activation if they were competing for the overall win in the 24 hours. So instead of Audi, Porsche and Toyota being the three manufacturers that had by far the biggest presence for years at Le Mans, you would now have maybe 10 or more manufacturers really using the event as a major marketing tool. The costs would of course go up from the current GT development programs for the cars, but this would be amortized over a period of time by all the private teams buying the same cars and spares as the factory teams were using. Even so, it would never get anywhere close to the money that was spent on the current LMP1 cars over the past 4-5 years. You would have the entire field racing with the same cars you can effectively buy, with the best drivers racing them. With silhouette GTs, what happens to the existing manufacturer-based GT class? You’ll have the current GTE/GTLM cars and then these similar silhouette GTs? I think It’ll be very confusing. For this year, unless the Toyotas break in one race or another, no one else has a chance of winning in LMP1. Of course, Audi won lots of races when they were the only manufacturer in P1 years ago but even that was a little different. The technology gap wasn’t as big as it is now and the amount of money the manufacturers have spent in P1 in recent years is on a completely different level. JT – Still, there is a good level of excitement in sports car racing domestically and we even see the emergence here of touring car racing with TCR-spec cars slated to race more extensively in IMSA and with Pirelli World Challenge in 2018. In some ways, the possibilities for racers are opening up, even as the economic climate for racing remains challenging. SJ – There’s definitely some exciting stuff and I think it’s great what [Fernando] Alonso is doing, trying other categories. That opens up the eyes of all the guys around him. All of a sudden they realize what’s possible. Alonso is maybe the most respected driver in the world, so when all these other guys in F1 especially see him trying these other categories it will for sure make them curious if nothing else. I know for a fact from a couple of drivers I’ve talked with in F1 that they hate the current format. They’re just not having fun. The cars aren’t fun to drive and they’re not finding the whole experience enjoyable. Even some of the young drivers who are just getting started are seriously contemplating doing something other than F1. They just want to go drive something they can enjoy. On the other hand, after having gotten a taste of what Super Formula and Super GT in Japan are like working with Felix [Rosenqvist], I think Japan has got it right on many levels. Both their series are full-on racing with no restrictors or BoPs, etc. You have brand new tires every time you leave pit lane and everybody’s going for it, all the time. It’s really good, hard racing. And now Jenson [Button] is there (in Super GT) and that’s going to open the eyes of a lot of European drivers and others. There are definitely some good things happening. JT – Formula E built some momentum over 2017 with the defection of Porsche from the WEC LMP1 ranks benefiting the electric championship and other marques joining as well. It’s not the most compelling racing but it has drawn the interest of manufacturers. SJ – Yes, in a way Formula E isn’t really a series for the crowd on-hand at any race, not yet anyway. The tracks are relatively small so it’s not that easy to pack in a huge crowd even if you tried. The manufacturers are really what will drive the series in my opinion. They will no doubt start spending serious money not only on the racing but also on activation, as they always do when they get involved with a new category. You’re going to have a war between Mercedes, Audi, Porsche and BMW – all the German makers who have mostly left DTM and will use this as their new arena to compete. You can already see it starting. And then you have Jaguar, Renault/Nissan and Citroen already there and several other car brands looking at it. It’s definitely the place to be at the moment. Typically, the manufacturers go for it while they are in and committed and then there’s a board decision by one or more of them and boom, they’re out. As quick as they arrive, at some point when it doesn’t serve their purpose anymore, they’re gone. It will be interesting to see how all this will develop. From a driver’s point of view like Felix’s, it’s an interesting place to be, the teams are starting to get serious and as such they want the best drivers they can get their hands on. That’s why there are so many of these great drivers in the series already. JT – Looking back at the global racing landscape in 2017, which driver do you think did the best job? Which driver from open wheel, sports cars, NASCAR – you name it – which racer performed best? SJ – It’s always a very difficult questions because each championship and car requires you to become an expert in that particular category. Take a championship like the Australian V8 for example, it’s super competitive with some really great teams and drivers, I mention it just as an example, because they don’t get the recognition over here or in Europe because it’s a local championship. Any driver that do a guest appearance there generally speaking are nowhere. Indycar is a bit the same, it’s so hard to win consistently because the cars are so close and the race strategy plays a huge part in the overall results. We often see drivers qualifying in the back and then roll the dice on pitstops and end up winning races because they got it right. But in the end it will probably have to migrate back to F1 and Lewis Hamilton, he’s now getting to that point where he’s starting to break one record after the other, and that never happens by accident. He’s always had the ability to dig just a little deeper when it matters and this year he had to dig a lot deeper than usual when the car was not always underneath him. JT – The 101st running of the Indy 500 was another great race. Andretti Autosport’s Takuma Sato claimed victory after a 10-lap dice with Team Penske’s Helio Castroneves. Andretti Autosport’s drivers and their Hondas looked good all day, occupying most of the top positions through the race but engine failures for Ryan Hunter Reay (leader of the most laps) and Fernando Alonso combined with pit-crew mistakes for Alexander Rossi and Marco Andretti took several bullets out of their gun. Ultimately Sato came through for the team, giving Andretti Autosport its second consecutive 500 win. Scott Dixon was one of the other Honda-powered drivers who ran at the front until lap 53 when Jay Howard’s Schmidt-Peterson Motorsports Honda hit the wall in Turn 2 and slid back across the track into Dixon’s path. Scott had nowhere to go and hit Howard’s car (Howard’s last IndyCar start was in 2011). The contact launched his Ganassi-Honda into the air and the catch-fence between Turns 1 and 2. The car also contacted the wall below the catch-fence before landing on its wheels on track. It was a scary accident which Scott is fortunate to walk away from. Apparently, his left foot was has a compound fracture. How did he view the race and how’s he feeling? SJ – Scott started the race with the car pretty trimmed out in preparation for the last 20 laps shoot out. That’s really what you have to prepare for and you’ve just got to hold onto the car for the rest of the race and get it as balanced and dialed in as you can for the gun fight at the end. I have no doubt he would have been right there. He was very loose during the first stint and they took some downforce off the front wing at the first pit stop and the car started to get pretty decent. One more stop and a further tuning of the aero and I think he would have the car where he wanted it to be. The accident was crazy and scary. Indy is always a dichotomy. It’s the hardest race to win and in some ways it’s also the easiest race to win. You can have speed all day long like Scott did a couple years ago and then a trash bag ends up in the radiator inlet with 10 laps to go and his engine just shuts down on him. Or you can come from seemingly nowhere all day and win if you’re on the right fuel strategy at the end, like Rossi showed last year. I’m not saying Scott would have won this year but I think he would have definitely been in the mix at the end. I think Alonso would have been there too and for sure, Ryan (Hunter Reay) would have. There were a lot of strong cars up front and it would have been a mighty ending if Scott, Alonso, Rossi and Ryan had all been there together with Castro Neves and Sato in the last few laps. But coming back to the accident, unfortunately you’re always going to have a few guys in the field who really aren’t quite up to speed no matter what the category is. The lack of race craft some of these drivers have is a mystery, it’s like they lack all common sense. If you’re not on the pace for whatever reason or you are already laps down it really isn’t that hard to just gently roll out of the throttle before you get to a corner? You lose a few tenths on a lap, maximum. You let the faster car go by and continue instead of charging into the corner and then end up fighting for a piece of real estate in the middle of a corner – and then blame someone else for pushing you up into the grey. He should have never put himself in that position to begin with, at that point he was already up the track in the grey and it ultimately it’s what caused his accident. All he would have had to do is roll out of the throttle by four or five MPH before he got to the corner and those guys would have gone past and it would have been fine. If you’re already two laps down you have no business trying to meddle with the race leaders, as you have no chance of making up the lost time on speed, the only chance you have at that point is to hope for a yellow and use clever strategy to gain you laps back. As it were, Scott ended up being the front runner who got caught up this time, it could have been anyone who happened to be in the wrong place at the wrong time. JT – There’s always excitement at Indy but it seemed to have even more energy this year with Alonso on hand, another huge crowd and lots of notable people there. What were your impressions? SJ - Indy was tremendous as it always is. I think it’s getting better and better, it’s really starting to get the buzz back that it used to have in the days before the split. Few places in the world, if any, no matter where they are or what event they have, have the energy and electricity that Indy has. When you stand on the grid before the race it’s something really special. 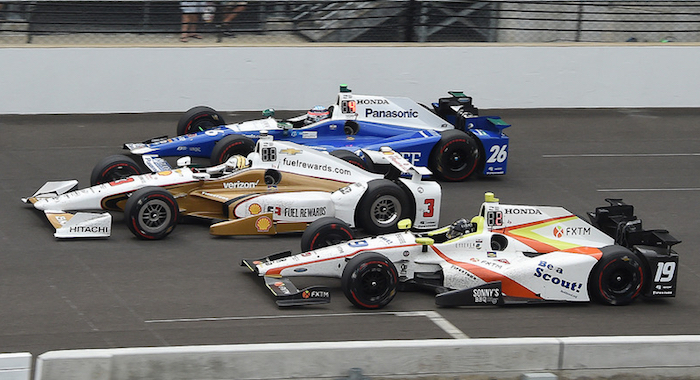 Andretti’s probably the best team at the Indy 500 right now. They had six potential winners. Every one of their cars could win the race. No other team had anything close to that. Whatever it is they’ve done to their cars they definitely seem to have found the magic bullet for that track. Alonso’s presence was great and added a lot of extra buzz and excitement from the F1 community also, hopefully it will open the eyes to a lot of his fellow drivers how great this event is and how good Indycar is in general. JT – I think it was a unanimous view that Fernando Alonso did a great job at Indy and raced very well. SJ – Yes, there’s no question he did very well. But to be honest, I didn’t expect anything else. I would have been surprised if he didn’t do a great job. I think he’s maybe the best driver in the world still, at least in terms of his race-craft. In the early stages of that race, everyone is fairly polite. But after the last pit stop – that’s when it starts to get a bit dicey. That’s when the racing really starts, it would have been great to see him duke it out with all the other guys at the end. 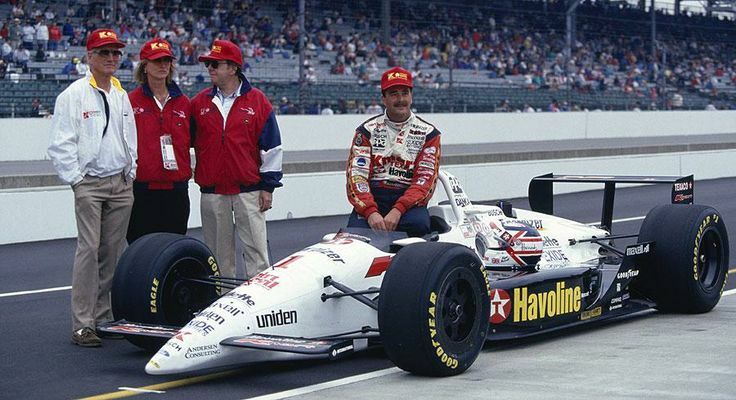 You have to get the car right to start with, and if you do that – I mean, I qualified 5th my first year (1993, Stefan out-qualified fellow rookie Nigel Mansell who started 8th) there in the old Bettenhausen car with a fairly stout grid. There’s no doubt that the Andretti cars were the class of the field so Alonso had a good car and he made the most of it in a situation where you really have to race. I think Lewis Hamilton’s comments about Alonso were ill informed (Hamilton said of Alonso’s qualifying 5th … “A great driver, if he cannot win in Formula 1, will look for other races to win. But to see him fifth against drivers who are [in the series] all year is… interesting.”). It just shows the ignorance and arrogance toward anything outside of Formula One that most people in the F1 paddock has unfortunately. They don’t even have a clue how hard some of these other championships are. In F1, if you’re in the right car, it’s easy. I can’t think of an easier championship to be good in. If you’re in the best car, you’re going to win – simple as that or at worst finish 2nd. And just because the top drivers in all these other categories of racing never made it to F1 doesn’t mean they’re not any good. A good indicator of this is when the F1 teams put some F3 kid in their cars for the end of season tests and within less that 30 laps they are doing lap times that are the same as the regular drivers who in some cases are world champions. The cars are simply too easy to drive and have too much engineering and technology for the drivers to make any real difference. There’s never ever been a world champion who wasn’t in the best car. It’s the nature of the beast. Everyone in F1 builds their own cars so there will always be one or maybe two cars that are better than the rest. In IndyCar, nearly anyone can win at any race depending on how they play strategy and who gets it right on the day. At the end of the day, you have to become a specialist in every category you race in. It’s relatively easy to get to 95 percent but it’s that last five percent that makes the difference between being really good and winning. JT – Interestingly, apart from Castroneves’ good performance in the race, Team Penske was off the pace all weekend. SJ – Yes, I was surprised that Castroneves managed to pull himself up that far. Penske was struggling the whole time, really. It’s strange. Ganassi was a bit like that last year too, I think the Chevy package in it’s current format is very difficult to get right around there. On the other hand, you have to admire Andretti Autosport. They’ve come a long way as a team in recent years and have turned into a very impressive organization. They have a good number of cars and sponsors. It’s impressive. JT – The Monaco Grand Prix was, as usual, a largely boring procession. Ferrari’s Sebastian Vettel won by staying on course longer than teammate Kimi Raikkonen and emerging from the sole pit stop in front. A similar scenario took place at Red Bull Racing where an early pitting Max Verstappen lost his position to teammate Daniel Ricciardo when the latter stayed on track longer. Why would anyone pit early and give up track position at a grand prix where track position is everything? SJ – Yes, it was the usual Monaco snoozefest. The layout of the track is such that we know it’s never going to be any different unless it rains or something unexpected happens that the boffins behind the computer screens can’t plan for. The only interesting bit was that Ferrari and Red Bull got the strategy wrong for the drivers who should have had a choice of strategy – Raikkonen and Verstappen. It’s clear that staying out longer before stopping was an advantage this time. It’s interesting to follow and it seems that there is less and less of the “seat of the pants” race strategy calls that we used to see from Ross Brawn and Schumacher for example where there used to be a constant dialogue and decision were made depending on the conditions as the race unfolded. It would seem that none of the people doing the engineering today in F1 have that type of race experience or race-craft. They’re all brilliant and geniuses in their own way but when it comes to race strategy it’s all theoretical for them. And it seems that the drivers are simply following a set plan and have very little room to maneuver in terms of how the race is called. Only the driver can feel how the tires are holding up and how hard he can push, if the car feels good and you can go hard you want to stay out as long as possible, especially if you have a clear track and there’s no cars to lap in front of you, but it seems the strategy was already set and both Kimi and Verstappen came in on whatever lap was already determined before the race even started. In this case it lost them a win and a podium. I would have been pissed off too! A couple years ago I was in the Ferrari pit with the radio headphones on during qualifying and what really surprised me was that the drivers don’t say one word when they return to the pits. The engineers are effectively telling them what the car is doing and what changes they plan to make next. I didn’t listen during the race but if I’m the driver in Monaco and the car still feels alright and the tires aren’t going off, and I’m still doing good lap times, I would say, “I’m staying out”. If the tires are still performing that gives you way more leverage toward the end of the race and you can monitor what other people are doing. If no one’s going faster – they were all slowing down actually – you stay out. The only reason you would pit early there is if you were stuck in traffic. That’s all the more reason why Vettel and Ricciardo with a clear track after Raikkonen and Verstappen pitted went faster. Of course they would. The only danger is a full course caution if everyone else has pitted and you haven’t. JT – Jenson Button substituted for Fernando Alonso with McLaren at Monaco and qualified well, starting 9th on the gird ahead of teammate Stoffel Vandoorne. He crashed out of the race attempting to overtake Sauber’s Pascal Wehrlein but adapted to the new car pretty quickly. SJ – I think he did a great job. He qualified quicker than his teammate and in the circumstances he performed well. Unfortunately he had to start from the back and starting from the back at Monaco it’s near impossible to do well. You can be five seconds a lap quicker than the guy in front of you, literally, and there’s still no way to pass. The whole track curves the whole way around and there’s only one line so there’s almost nowhere to get a run on someone ahead – even on corner exit. JT – Ferrari’s performance at Monaco showed their continuing improvement. Meanwhile, Mercedes GP struggled. Adapting to the 2017-spec Pirelli tires is an ongoing issue for Mercedes. Again, you point to Sebastian Vettel’s preseason tire testing as a big part of the difference in the two top teams’ performance. SJ – It’s clear that it’s all down to the tires right now. Again, it boggles my mind that teams like Red Bull and Mercedes didn’t force their regular drivers to do all the tire testing. How can you put a junior test driver in a car to do just about the most important testing you do all year? You are strictly limited on any test days to begin with and tires are the most critical component you have in terms of getting the car dialled in. You can simulate most of the engine and the chassis to a pretty accurate level these days but the tires is as much about feel as anything else and variables change all the time due to track surface and conditions. What else could the regular drivers possibly have to do that’s so important that they can’t attend those less than 10 days total of testing? There’s no doubt in my mind that whatever input Vettel gave Pirelli is directly translated into the tires on the Ferraris. Of course they’ll suit the Ferrari better because he’s the one who gave them input! How can you expect a 17-18 year old F3 driver to figure out what’s going on with a tire. It’s mind boggling and inexcusable in my opinion. JT – As you mention, another element of Ferrari’s improvement in 2017 may be the return of Rory Byrne to the team last year and his input on the design of this season’s car. SJ – Rory is one of the top designers ever in F1 history and he’s never received enough credit for what he’s done. He was responsible for every Ferrari Michael Schumacher won with. He designed the winning Benetton’s before that. Rory is a genius. I think his influence is a significant part of why Ferrari is doing so well again. JT – With the injury to Sebastian Bourdais at Indy, Ganassi Racing has tabbed Tony Kanaan to replace him in the No. 68 Ford GT for the Le Mans 24 Hours. Given Kanaan’s experience and the fact that he raced the GT at Daytona earlier this year, he should have no problem being up to speed at Le Mans even though he hasn’t raced there before, correct? SJ – He’ll be fine. I don’t think his preparation will be any problem with simulator time and by the time you get into the race you do a few double stint and that gets the rhythm going. Looking at the testing times from last weekend at Le Mans it looks like the Ford’s might have a battle on their hands for this year. The BoP (Balance of Performance) changes seems to have slowed them down significantly. I just wish there could be a different way to balance the cars than this BoP that will always benefit or slow down one car more than the others. JT – The laptimes during the testing were the fastest we’ve ever seen around Le Mans until now, in all categories from LMP1 and especially the LMP2 cars who were almost 10 seconds faster than previous years. SJ – Yes, the LMP2 cars in particular are now extremely fast, what was interesting is that they were actually faster than the LMP1 in straight line speed too. I’ve said it for some time now, it would be so much better if LMP2 became the main category and they just scrapped the LMP1, with only 2 teams competing for overall victory it’s become a bit flat. The ACO always seemed to want the fastest cars to be in the 3.30 min range, they seem to think that’s a safe zone somehow. I’m repeating myself again, but I don’t think it would be that hard to make even the GT cars do a high 3.30 if they took the restrictors off and gave them a little wider tires and some more aero. Get rid of the BoP and let every manufacturer make a car that is within the rules and that fits whatever they need to do win but without the BoP. In other words, may the best man win, period. We would see some incredibly cool looking cars, like the Ford GT, that would be offered to their respective road customer to fill the production to meet the homologation standards. I bet you every car from every manufacturer would be sold out before they start production, just as the Ford is. JT – We also had the double header Indycar race in Detroit this last weekend. Graham Rahal scored a double win and is the first driver this year to win more than one race. Scott finished a gritty second in the first race and despite a fuel rig issue in the second race finished a good 6th. What do you make of the weekend? SJ – I think it was a great weekend with some good hard and very competitive racing again. Graham was clearly hooked up the moment they rolled the car of the truck, quickest in nearly every session and walked away with both races. I think every driver dream of those days when your car is just perfect. He didn’t put a foot wrong all weekend and drove with a lot of confidence. Scott did an amazing job in the circumstances, to have a fractured foot and clearly in a lot of pain there is probably no worse track than Detroit to do a double header race. In the second race, had it not been for the fuel rig problem on his first pitstop it’s safe to assume he would have been 2nd in that race too as he was in front of Newgarden who was on the same strategy and eventually finished 2nd. There are so many good teams and drivers in Indycar now, that it’s impossible to predict the outcome in any of these races before the weekend starts. Apart from Graham’s double win, there’s been 7 different winners so far, and Scott who is leading the Championship has yet to win a race. I think that says it all as to how competitive this series is. I’ve said it many times before, but there is no other championship in the world that is close to the racing that Indycar produces. If they could only find a way to market this it would be huge.